Our style of sailing trip is called "cabin charter" or “skippered shareboating”. 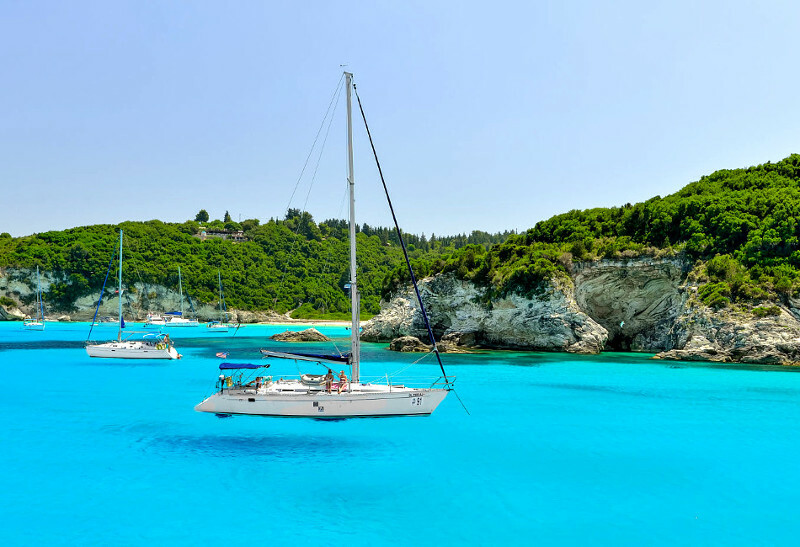 This is the most versatile way of sailing the Greek islands. It combines adventure, comfort, cost saving, companionship, learning and freedom. You can charter a cabin or a berth if you are single traveler. If you are travelling with friends you can charter as many cabins or berths as you want. You do not need to know anything about sailing. Our skippers will be happy to teach you to sail. You join your yacht any designated date you have chosen and booked. Embarkation port is the quaint city of Preveza. 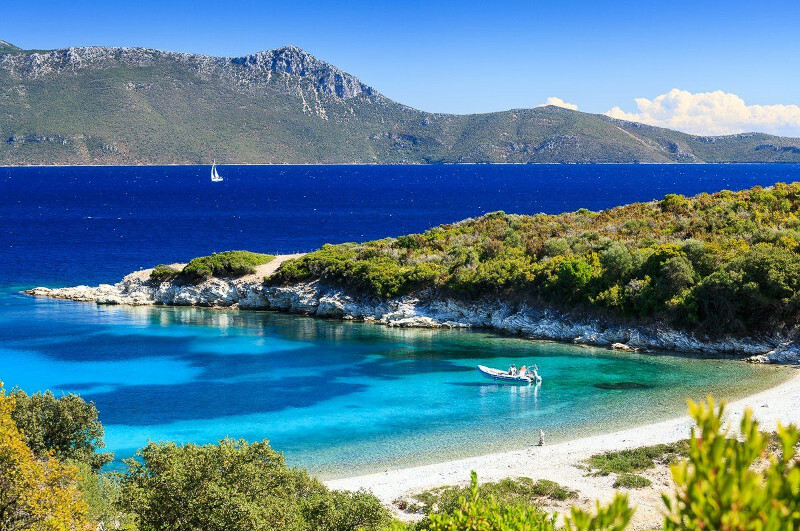 Preveza is located on the Ionian sea, 14 miles from Lefkas (town island) and less than a mile from the Preveza-Aktion International airport (PVK) . We make all arrangements so your embarkation is simple and hassle-free. Our skippers know the uncommercialised fishing villages where simple life remains unaffected by tourism and time. Our shareboating (cabin charter) departures are guaranteed. You book for one week minimum or two weeks for the round trip. On your cabin charter holiday you decide to be as active or passive as you like. Whatever your desire from sun bathing or reading to setting the sails -the choice is yours. Decision making on board is as democratic as possible. Greece, after all is the home of democracy. If we are all having a particularly good time on an island we try to extend our stay. Our yachts are chosen for a sensible compromise between speed, comfort and safety. They are sleek, luxurious, fully equipped and superbly maintained. They include cooking facilities, refrigerators and 2-5 bathrooms. Our yachts are from some of the world’s most famous designers, including Jeanneau and Bavaria. Itineraries are fascinating and varied. 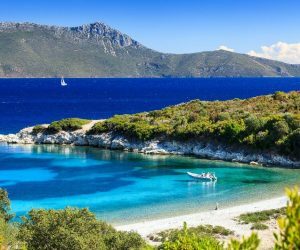 You visit cosmopolitan islands with five star resorts like Corfu and quitter islands famous for sacred sites like Ithaka and Lefkas. Skippers are highly trained and speak English. 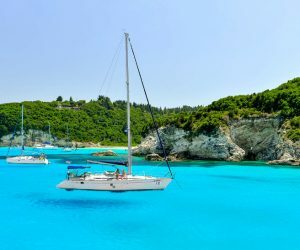 They can tell you a lot about Greek culture and history as well as sailing. They will help you improve your sailing skills and welcome you to take the helm from time to time. We spend one or two days on each island. You have plenty of time to buy local goods, explore ancient site, and sample local produce – wine, cheeses or to relax on secluded beaches. We provide snorkeling and fishing gear on board each yacht. You will have hostess onboard to prepare breakfast and light lunch daily. In the evenings you can eat at the local tavernas where the quality of food is excellent and prices very affordable. Ask your skipper to recommend the best restaurant or taverna. We take a maximum of 8 participants + crew on our largest yacht – a Sun Odyssey 52.2 ft (Jeanneau). Our usual group size is 6 to 8 people per yacht. Special Discounts: 7% discount on the above prices, for all students who are holders of the International Student Identity Card (ISIC). To receive the discount, the cardholder must both present an International Student ID Card during embarkation and enter the ISIC membership number on the booking form. We allow the crew to run their own ‘honesty box’ system on board for drinks etc. though we provide bottled water, tea and coffee free. The use of snorkelling gear, fishing gear and dinghy with an outboard motor is allowed with the permission of the skipper. Sailing normally commences the next morning after the day of your arrival, when all port formalities and sailing papers have been signed by the local authorities and a safety briefing has been carried out by your crew. Embarkation is from 17:00 hours onwards on Day 1 and Disembarkation is after breakfast at 09:00 hours on the morning of day 7. The final docking of the boat is usually on the evening of day 6. Although embarkation and disembarkation will take place as above, the actual sailing and final docking times may vary to suit the weather and other factors beyond our control. For these reasons we reserve the right to modify, amend or substitute the sailing itinerary. 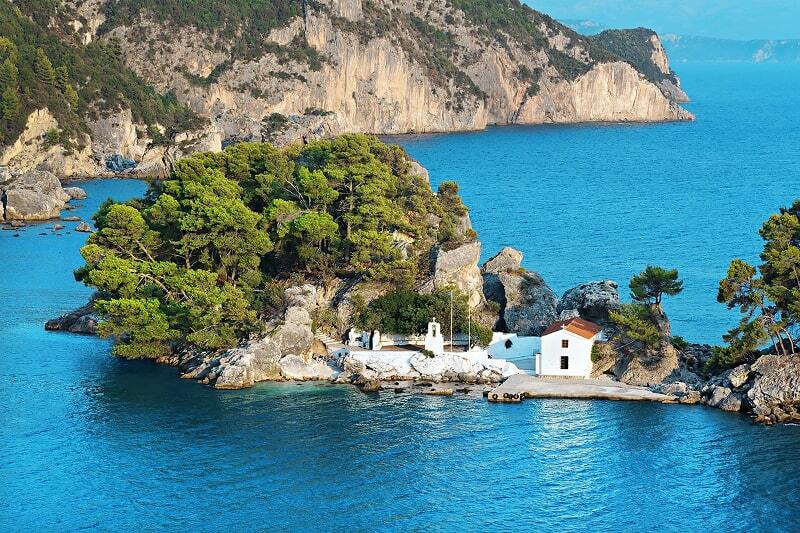 We will visit most of the following coastal places or islands, Ligia, Amoudia, Lichnos, Parga, Sivota, Plataria, Paxi and Antipaxi islands and Corfu. 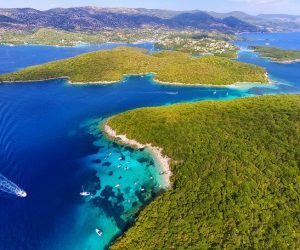 The whole area is unique with over 40 miles of sandy beaches, secluded coves, beautiful bays, turquoise waters and incredible archeological, historical and religious interest. 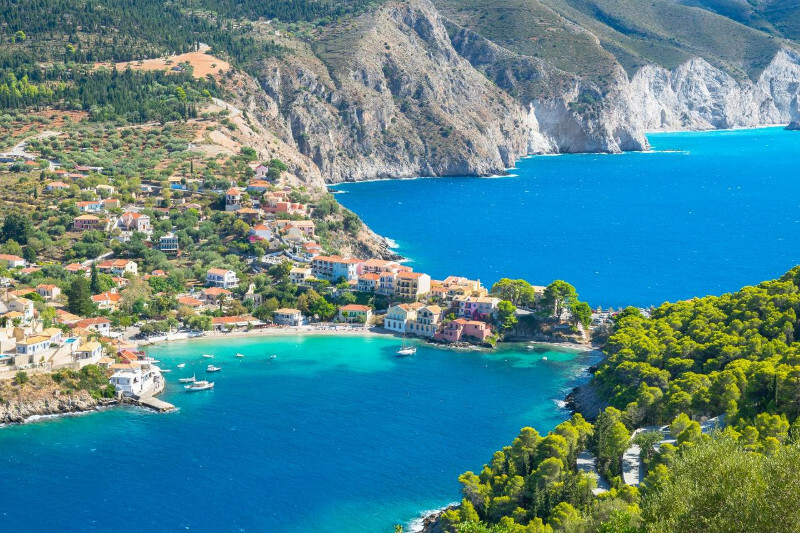 We will visit most of the following islands and ports Lefkas town, Scorpion (Onasis island), Nidri, Meganisi, Syvota, Vasiliki, Frikies (Ithaka), Kioni (Ithaka), Vathy (Ithaka), Fiscardo (Kefalonia), Agia Efimia (Kefalonia). Alternatively, you can use domestic flight companies Olympic Air and Aegean Airlines to book your flights. A deposit of €400 per person and a completed booking form should be submitted. The balance is due 60 days prior to departure. If the balance is not paid by the due date we will regard the booking as canceled. If cancelation takes place 60 days prior to departure, 50% of your deposit will be refunded. If cancelation takes place less than 60 days prior to departure, refunds will be made on an assessment of costs incurred. However, the original deposit will be forfeited. On booking, you will be forwarded detailed trip notes telling you more about your sailing adventure ahead. Your booking is considered confirmed upon receiving signed the Terms and Conditions Form that you can find at the bottom of this page. Please read the downloadable file of 'Booking Terms and Conditions'. Upon your booking you will receive all necessary trip notes and information regarding your trip. 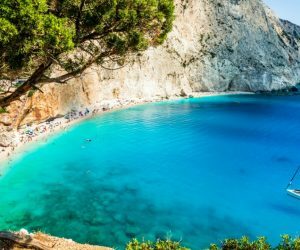 Through your agent or a number of agents around Greece, we are able to make any other travel arrangements for you in Greece. Please advise us on your booking form under Special arrangements, if you would like us to make any bookings for you.